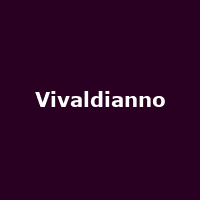 "Three dimensional visual effects, modern audio technology, a superb lightshow and the Baroque genius of Antonio Vivaldi's music informs this dazzling live experience "Vivaldianno - City of Mirrors", the brainchild of Czech composer Michal Dvořák. Dvořák virtually reconstructs the Italian composer's classic compositions and puts 25 musicians and a 3D musical on stage and combines original and modern covers of Vivaldi's works with the latest technology. Produced by Dvořák and led by famous Czech violinist Jaroslav Sveceny with an outstanding orchestra."